I just finished my third draft of the new work and am going to give it one more before I just say, good enough. There are still some things to be ironed out, but I can’t wait until the moment the draft is out of my hands and I can start working on something else. In which I realize I don’t even have a title for it. Awesome. 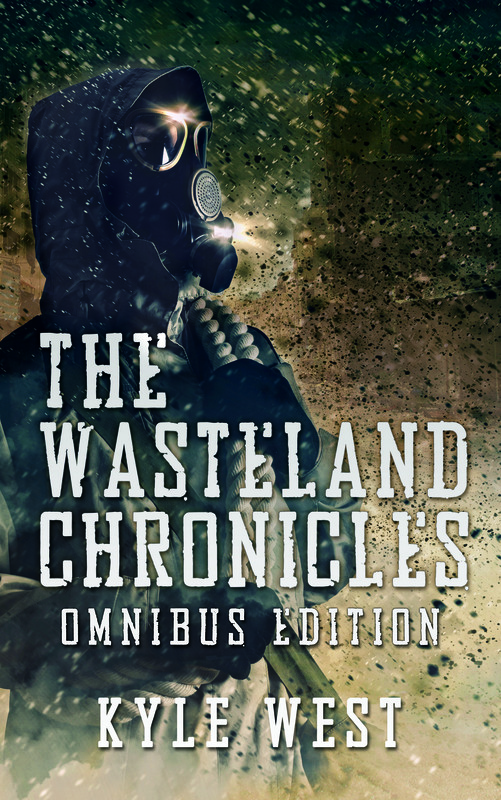 I’m probably going to do something like Wasteland Chronicles where every title was one word. The Omnibus is still in edits. It’s a big work so it’s going to take a long time to make sure the typos are perfectly clean. After that, it’s going to get another round of proofing, at which point I’ve done pretty much everything I can. No less than five pairs of eyes are going to be looking at the entire thing before it’s all said and done. It’s going to the flagship entry to the series so I want to do everything I can to make it right. The Omnibus will be coming out next month for sure, and if we’re lucky, the first book of Xenoworld will be as well. I know it’s far, far later than I ever imagined, but now that the story and world is set, the rest of the writing should come faster. Now, for the main meat of this post. What can one expect out of Xenoworld Saga? 1. For the most part, it’s going to be a low tech world, though there high tech elements to it (which will become more apparently later in the series). 2. Lots of varying nations and empires. 3. A female main character. 4. The descendents of Alex and the rest will inherit their Elekai abilities, although to a lesser extent than the original crew. In all, these abilities are categorized into twelve different Gifts, including Dragonspeech, calling other Elekai across vast distances, telepathy, prophecies, visions, and healing. These powers are all based on the xenofungus (called xen in the series) and the collective Elekai consciousness, called the Xenofold. 5. Lots of history (almost four hundred years of it, in fact). It’s a bit overwhelming at times. 6. Areas of the world outside the southwestern United States. This will grow more apparent in later books. 7. The series will be anywhere from 3-7 books. We’ll see. 8. There are at least two crazy twists toward the very end. 9. The first book will be about 95,000 words long. Shorter than I expected, but I didn’t want it to be too long. The new ending I’ve come up with hopefully doesn’t make all the extra stuff I wrote unusable. 10. A big glossary of terms at the end for your reading pleasure. That’s all I’m willing to say for now. The light at the end of the tunnel is getting brighter. Thank you so much for all your patience. This is taking way longer than I thought it would, mainly because I’m working on the Omnibus, too. Hopefully I’ll be running out of the gate this year with these two releases. In the meantime I’m continuing work on Xenoworld. It’s clearly going to need a lot of work still. The first half read fairly smoothly but there’s a lot of conflicting ideas I have to take care of in the middle and the only way to do it is by plowing through. I’m a bit concerned with the length as well. I like writing 70-80,000 word stories more, and the whole 150,000 word thing is probably going to be a bit much if I have to continue doing it. I would totally write books that long if I could do it quickly enough and release quickly enough, but most of my success as an author has depended on having fast release times. I’d rather release two 70,000 books in four months than one 150,000 word book in the same amount of time. For that reason, I’m looking for a way to make two books out of it for the sake of consistency in what the rest of the series will look like. This will also allow me to keep the price reasonable, and would be better for me as an author as well. So, those are the things I’m working on for now. An answer will present itself with time. Thanks for your patience. It’s been way too long since I’ve released anything, and I’ll definitely get there in time. Alright, for the title, this isn’t going to be all that exciting. But in a way, it is. On and off I’ve been working on putting together on Omnibus. Rather than be lazy and slap the first three books together and call it good, I’m actually going through the first three books, making improvements in the prose along with the plot line. Apocalypse has seen the most changes out of the three, mostly in the Bunker scenes. They are a whopping three times longer in this second edition than the original. You get to see a lot more of Bunker 108, its citizens, and also more scenes with characters I didn’t spend enough time developing, like Alex’s dad, Chan, and Khloe. I’m currently finished with reworking Apocalypse, and am now going through Origins and Evolution, which won’t need much work. Once all is said and done, I’ll release an Omnibus edition at a discount price, composed of the first three novels. My plan at launch is to run a special price of $.99 and see how it does out of the gate. Depending on how it takes, I’ll look into doing other promotion. This has been on my to do list for a long, long time. I’ve been wanting to release an Omnibus for ages, but most of my energy was going to Xenoworld 1. Now that I’m just editing, I’ve been switching back and forth between the two. Getting an Omnibus out is vitally important – the book climate has changed in such a way that readers expect it, and what’s more, it’s probably good for me as an author as well. Potentially, this could have thousands of new fans discover the series. If you ask me, I’d say this cover is pretty “tizight,” as they kids used to say in 2005. I hope this Omnibus can drop later this month, or at least by February. I still have to finish my read through of Books 2 and 3 and do some light polishing before finding qualified professionals to look it over. I will probably open it up for beta reading for the purpose of catching typos my editors might miss, as well as rounding up people interested in writing reviews so that it looks legitimate early on. 2015 has the potential to be a really great year. With an Omnibus early on, plus the new book of Xenoworld, I couldn’t be more excited. All I have to say is, thanks for sticking with me. Lots of new stories are in the pipeline, and it may be too early to say, but I think Xenoworld has the potential to better than The Wasteland Chronicles. If that doesn’t get you psyched, well, then blow my dress up and call me Charlie. No, don’t do that. It’s just something my history teacher in high school used to say and it made me laugh.